This pattern signalizes about reversal of the price movement. We see this signal after a candlestick has appeared and its body is bigger than the previous reversal candlestick. 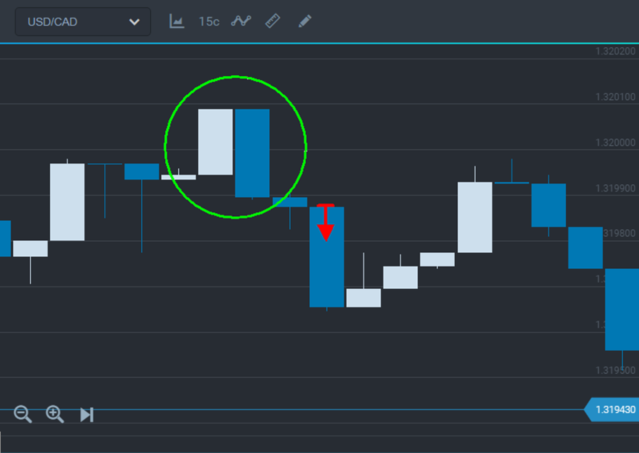 This is an engulfing candlestick. When this signal appears we should be prepared and see where the next candlestick will move. 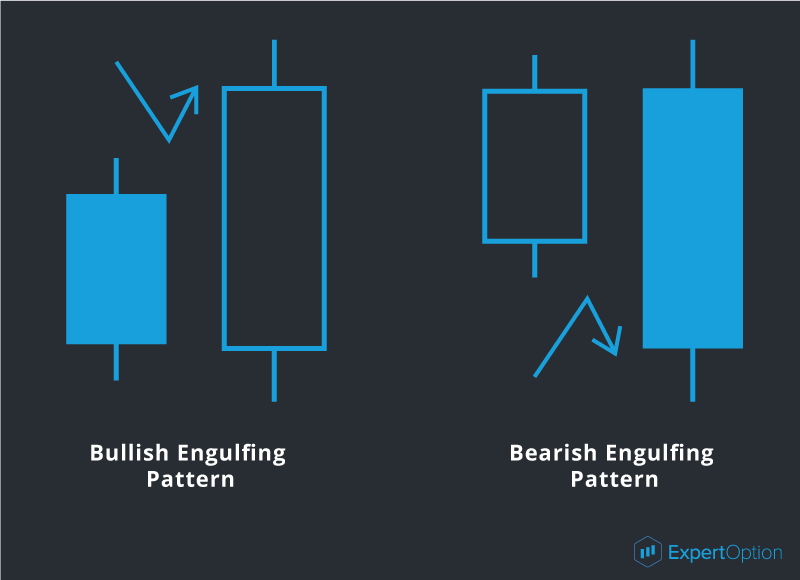 If the candlestick has the same direction as an engulfing pattern you can open a deal after its closing. 3) Open a deal in the engulfing direction after closing a new candlestick. The bigger engulfing candlestick is the stronger price movement will be after reversal. In this case if you have some profit you can risk and trade online after closing a strong engulfing candlestick. But remember you should always wait for confirmation of candlestick signals.